I had the absolute pleasure of covering Shambhala Music Festival this summer, and I can honestly say that it is still one of my top festivals in the world. This year was especially dazzling as not only did I get to see one of my number one producers perform, but I also interviewed him at my absolute favourite stage of the festival. 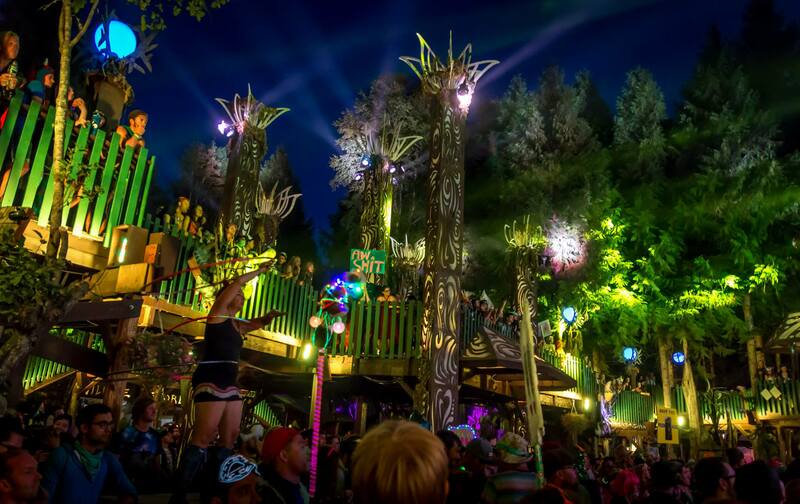 Out of the 6 incredible stages, The Grove will always stand out as the most intimate and euphoric one. The ambience fills the space, enlightening it with a pink and purple glow as you face the stage transformed into the Shambhala owl. Christian Löffler has been on my radar for about 4 years and I have been following him almost religiously, so when I was asked which artist I wanted to interview he was the obvious choice. When I met him after his set at 4 am Monday morning, I learned that he had just been through a 36 hour journey to the farm. I was so surprised when he said “of course! !” when I asked him if he still had the energy to go through with the interview. I took him on a tour of the Labyrinth in The Grove, and we found a “quiet” place to sit and chat – he had just been in our hometown Monreal a few days prior to his Shambhala show. Here is his promo set for Shambhala that I’ve been listening to on repeat while writing this content. When Christian Löffler started his musical projects, he had 5 different sound avenues to explore. He ultimately went with the one that was most personal to him and his life experiences: electronic music. He chose to use his real name, a symbol of a reflection and self-portrait within his sound, which can be described as a mingling of melodic, euphoric and melancholic waves. Living two hours from Berlin, he produces his music in a secluded village by a lakeside cottage that allows the purest form of his self seep through his music. We switched gears and talked about his record label Ki, which means tree in Japanese, featuring a dreamy selection of hand picked artists. When asked which artists to look out for, he mentioned Fejká, who has been just signed on. Below, his remix of the beautiful track Vind. Christian’s 3 am show at The Grove was a unique experience for him, as he has never been to anything like Shambhala before. He had never heard of a dry festival, not surprising considering he is from Germany… When asked about his thoughts on the ANKORS investment for harm reduction, and how Shambhala bought four 35,000$ drug testing machines to ensure the safety of the festival goers, he agreed that more festivals should follow suit and strive for a safer environment. Finally, I asked Christian about his Montreal experience (obviously) and he had such kind words to say about how much he connected with the crowd here. The timing of the event, his set up and the energy that the Montreal fans brought to the event filled him with excitement! These were the first few destinations of his North America tour, so we have set very high standards. I want to personally thank Christian for taking the time to chat with me after his grueling journey and being such a positive light hearted soul. I want to thank Shambhala Music Festival and The Grove Stage for this amazing booking! Finally, The Confluence who gave me the opportunity to cover the event and make all of this happen.